The ultimate choice for business and leisure! The right place for your comfort! 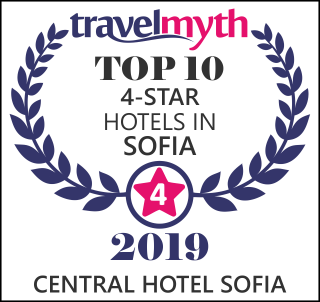 Central Hotel Sofia is located in the central part of Sofia, as well as to important administrative buildings, cultural monuments and tourist attractions. 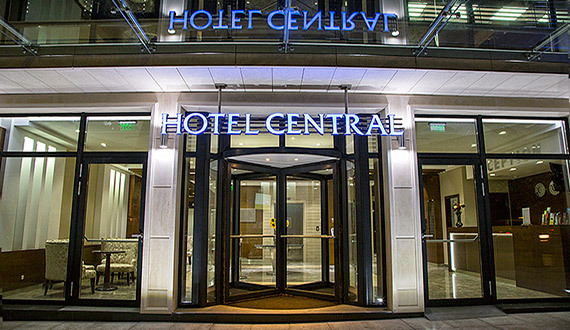 Central Hotel Sofia has 70 rooms, a restaurant, 3 conference rooms with free high speed internet, lobby bar, business center, spa center. The following services are available for hotel guests: free wireless internet; relax room; parking; 24-hour reception in English, German, Russian; 24-hour CCTV; room for disabled people; room service; luggage storage; wake up call – upon request; laundry, dry cleaning; exchange; express check-out; shuttle service to and from Sofia Airport, as well as from certain destinations; rent-a-car; tours, attractions and sightseeing in Sofia and the country; purchase of flight tickets; reservations for hotels in the country and abroad; doctor on call. View our current special offers where you will find a variety of attractive offers for weekend, corporate event, special occasion or celebration, as well as your leisure time.